In January 2014, Daniel Kelly got a job at a local grocery store with a mission to buy a camera. 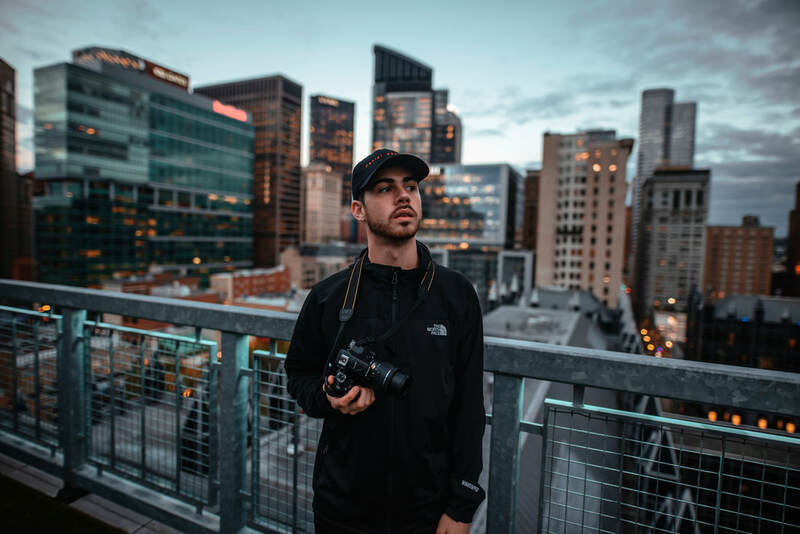 Today, Daniel Kelly is a Creative Director, Photographer, Filmmaker, and Cinema Student at Point Park University. During High School Daniel won first place in the 2016 Skills USA Digital Cinema Production Competition, and 3rd place in Television Video Production. Daniel also won “Best Director” at the Ben Barber CTA Banquet 2016, Best Commercial at the Rising Star Film Festival, Official selection at the 2015 Texas Independent Film Festival and Official Selection screenings at the All American High School Film Festival in 2014, 2015,and 2016. After High School, Daniel moved to NYC to work two video production internships, at Simba Prods. & Winner Prods. Daniel then moved to Pittsburgh and created the film "Popped" that was an 2017 Official Selection for the Seattle International Film Festival & NFTTY. Daniel now works freelance creating Media from Concept to Execution for Musicians, Professional Athletes, Celebrities and Corporations. Working with clients like Voss Water, Wiz Khalifa, JID, Juice Wrld, T Pain, Wifisfuneral, Chanel Westcoast, Chevy Woods, Riff Raff, Shamarko Thomas, DJ Afterthought, and more. ​ Daniel also plans on concentrating on Directing, set to graduate Point Park University in 2020.